Malaysia's new government says it will abolish the death penalty for all crimes and halt all pending executions. Malaysia's new government said it will abolish the death penalty for all crimes and halt all pending executions, a rare move against capital punishment in Asia that human rights groups hailed Thursday as a major advance. Law Minister Liew Vui Keong announced Wednesday that the cabinet had agreed to abolish the death penalty and that amendments to laws with capital punishment were expected to be presented when parliament resumes Monday, local media reported. Liew couldn't be reached for immediate comment. Communications Minister Gobind Singh Deo on Thursday confirmed the cabinet's decision. "This is part of our election pledge and also in line with the move away from capital punishment in the rest of the world," he told The Associated Press. Amnesty International said the move would be a major advance but urged the government to "completely abolish the death penalty for all crimes, with no exceptions." It said the death penalty has been a "terrible stain" on Malaysia's human rights record, and death row prisoners often have to wait years for their appeals to be processed. "There is no time to waste. The death penalty should have been consigned to the history books long ago," the human rights group's secretary general, Kumi Naidoo, said in a statement, adding that 142 countries worldwide have rejected capital punishment. 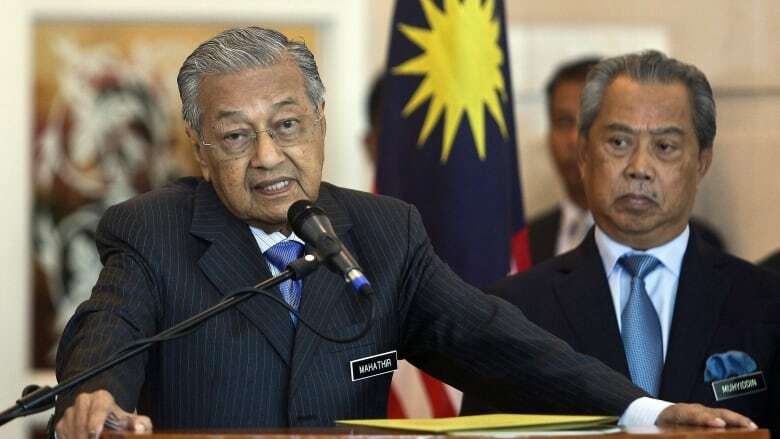 Prime Minister Mahathir Mohamad's alliance won a stunning election upset on May 9, ousting a scandal-tainted coalition in the first change of government since independence from Britain in 1957. Its promises included eradicating corruption and bolstering human rights. The Malaysian human rights group Lawyers for Liberty praised the government's decision, saying the death penalty is barbarous and pointless as it has never been proven to deter serious crimes. Its adviser, N. Surendran, said the new government has shown that "it is a force for moral good, and an example for the region and the world." Many Asian countries such as China and neighbouring Singapore, Indonesia, Thailand and Vietnam still impose capital punishment. "We call upon the government to vigorously speak up for our citizens facing death in distant shores. Having rejected the death penalty in this country, we now have the moral authority to fight for the lives of our citizens abroad," he said in a statement.